A NON-PROFIT US organisation has made it its mission to digital preserve the world’s cultural heritage sites. To date CyArk have archived data, scans and images of around 100 sites to date from the ancient cities such as Pompeii and other modern, 20th-century landmarks such as Mount Rushmore in South Dakota. In order to do this, the CyArk 500 Challenge was launched – an ambitious project aimed at digitally preserving 500 cultural heritage sites within the next five years. CyArk said it is their goal to digitally preserve cultural heritage sites before more are ravaged by war, terrorism, arson, urban sprawl, climate change, earthquakes, floods, and other threats. Just last week, the UNESCO Director-General Irina Bokova deplored the suicide attack in Mali that damaged the ancient Djingareyber Mosque, which is believed to have been built in 1327. CyArk said there isn’t enough money or enough time to physically save every site in the world, so the next option is to use 3D technology to digitally save these sites to make them available for generations to come. Heritage is often considered a ‘given’. Since our childhood we’ve studied the ancient Egyptian pyramids, and heritage sites like the Leaning Tower of Pisa, Stonehenge, the Taj Mahal, the Great Wall of China, and Machu Pichu are all ingrained in our minds as places that have always been here and will continue to stand the test of time. However, as we’ve seen with the dramatic loss of heritage in Syria and Egypt with the recent unrest, thousand-year old heritage can be destroyed in the blink of an eye. She added: “Today we are losing our heritage sites at a rapid rate through natural disasters, human conflict, poor site management, the encroachment of urban development, and the simple passage of time. 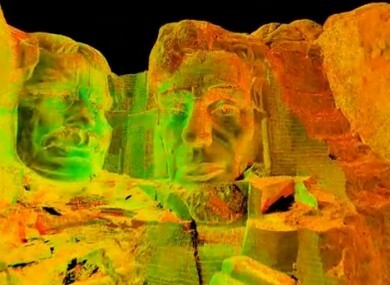 Using cutting-edge 3D digital documentation techniques, such as laser scanning, CyArk are able to generate a digital record of a heritage with 2-millimeter accuracy so that the data can be used by site managers and conservators. The digital data from each site is then stored safely within CyArk’s secure archive. Lee said that It is very important for us to be proactive about preservation. “These sites that have inspired humans for millennia need to be protected so that future generations can continue to learn from and be inspired by these places”. She said CyArk’s mission is to utilise new technologies to capture these sites before they are lost. This data can then be used in future stabilisation and restoration efforts, but it can also be used immediately to help engage new audiences with the site through digital and mobile technologies. She said that there were so many sites around the world that deserve to be protected, stating that it was a big challenge. As of 2013, UNESCO has listed 981 World Heritage Sites. Images of some of the sites that have been digitally mapped. Email “This group is digitally preserving the world’s heritage sites for future generations”. Feedback on “This group is digitally preserving the world’s heritage sites for future generations”.